← Who Will Princeton Dems Endorse For Council? 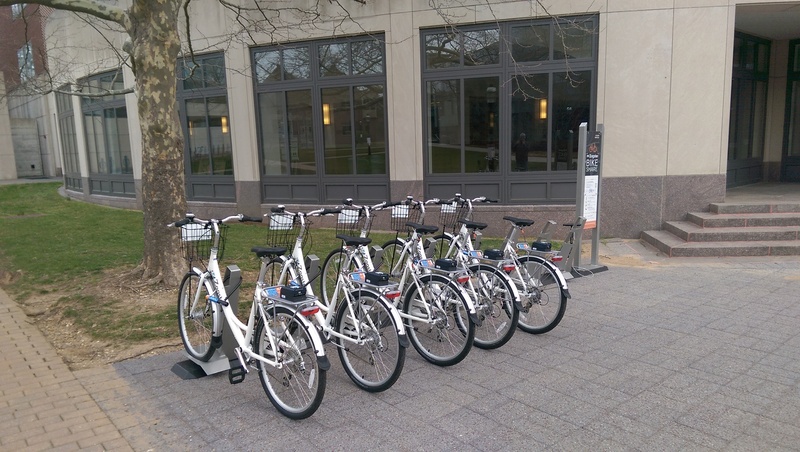 In the Ivy League Bikeshare Battle, Princeton has taken the lead against Yale University with a significant increase in available rental bikes. 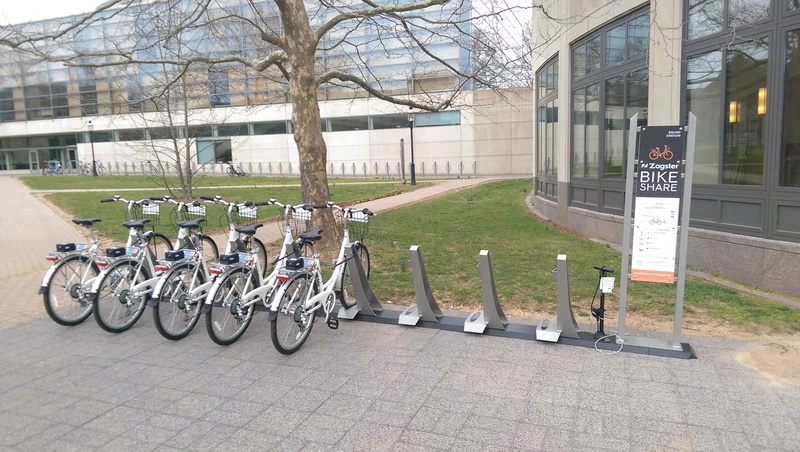 The local ‘Zagster’ bikeshare program, which we profiled at its launch in 2014, saw a big expansion March 21, as eight new stations became available on sites around campus and in the surrounding area. All available locations for bike rental can be seen at the map here. All around the USA, short-term bike rental, or ‘bikeshare’ is enjoying rapid growth. Helped by new technologies that allows users to easily and safely borrow bikes for short journeys, bikeshare has exploded in places like Washington DC, New York City, and Philadelphia. Bikeshare is ideal for short journeys from one place to another, but can also be used for exploring the local area.. The Princeton program started quietly in 2014, with just one dock at the new Dinky station. But the recent expansion connects many new sites around the University, and has even become a regional program, with a dock at the Forrestal campus, in Plainsboro, NJ. Other Ivy League schools have also launched bikeshare programs. 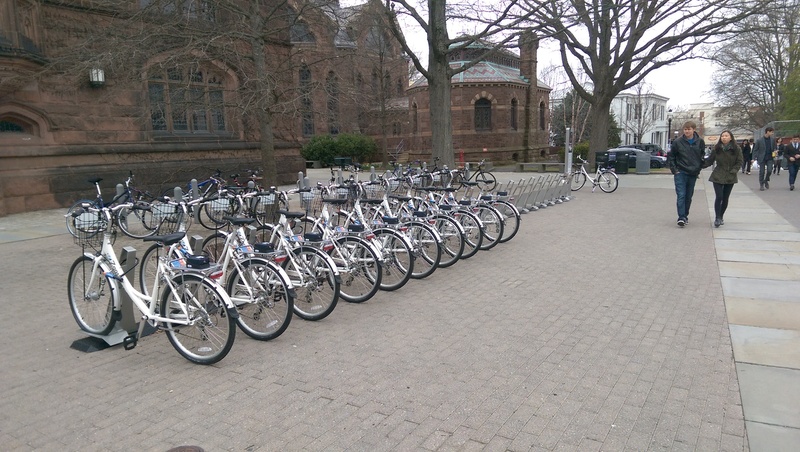 Yale’s program, with 50 available bikes, is somewhat smaller than Princeton’s newly-expanded bikeshare scheme. It is also more expensive, with a $30 annual membership, as opposed to the $20 membership for the Princeton program. Princeton is setting the pace on bikeshare, which is a major achievement for the University’s sustainability program. Things look set to get even better for bikeshare in the local area: the town was recently awarded a grant to set up bikeshare in locations that are more helpful for local residents. Look for an expansion some time later this year! To find out more about how to use the bikeshare program, see our guide from November 2014. This entry was posted in Alternative Transportation, Biking, Princeton, Sustainability and tagged bikeshare, Cycling, Ivy League, Princeton, sustainability. Bookmark the permalink.